Do I need self storage insurance? If you already have homeowner’s or renter’s insurance, your items may already be covered. However it will be a good idea to check and ensure your items are covered under your homeowners or renters insurance. If not, ask the manager at your self storage facility to find out what options they have for you. Either way, you will be responsible for your property wherever you go, so if you are storing away belongings with value, it’s probably a good idea to make sure they’re covered by insurance. Do I need to buy or bring my own lock? Although there are some facilities that will require you to have a certain type of lock (disc locks). Ultimately you will be responsible for providing your own lock. Here at Best Choice Self Storage we highly recommend purchasing a disc lock to ensure the highest level of security for your storage unit. 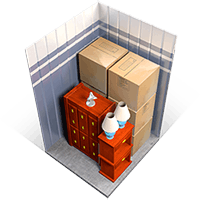 How do determine what size storage unit I will need? 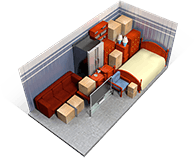 We have a basic size guide here that you might find useful, otherwise do not hesitate to ask our facility managers what self storage unit size they recommend for the items you plan on storing. Is using Self Storage Safe? Every self-storage facility has different security measures in place to make sure your belongings are safe. Before investing in a storage unit, shop around to make sure you feel confident in the facility. Check reviews and ask current tenants (if you see them) about security and or the manager about any recent incidents that may have occurred at the facility you plan on storing. 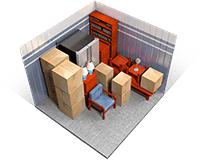 My Husband and I have been with Best Choice Storage for almost 20 years been through a couple owners and several property managers all of whom were very friendly. We have rented many small units and a few warehouses throughout the years for our business and for personal use and have to say I wouldn’t go anywhere else. This place is clean, central, secure and budget friendly. We always recommend this place to our friends and family because of the atmosphere of trust. Thanks Karen for making our stay here worth every penny we pay ! Super awesome and friendly staff! Great prices for the unit sizes, and good security measures. This place is great to stored your stuff, the lady at the front desk was very nice friendly and extremely helpful, she has best customer service I have ever came across with, we also got a good deal on a storage room, which she gave us a great deal. Definitely go here for your storages needs in the yuba city area.